Stress fractures are injuries most commonly seen in the lower limbs and are usually caused by repetitive stress. While the distal and middle third of the tibia is the most frequent site for stress fractures (almost 50%), stress fractures of the proximal tibia is relatively rare and could be confused with other types of tibial fractures, thus altering management plans for the clinician. Early diagnosis of stress fractures is also important to avoid complications. 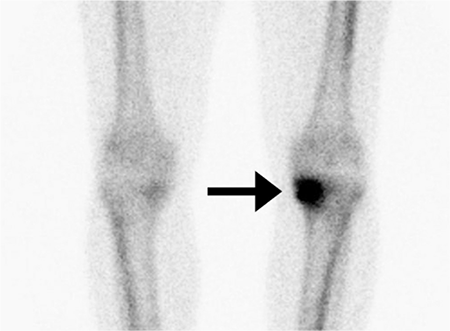 Imaging plays an important role in the diagnosis of stress fractures, especially bone scan. 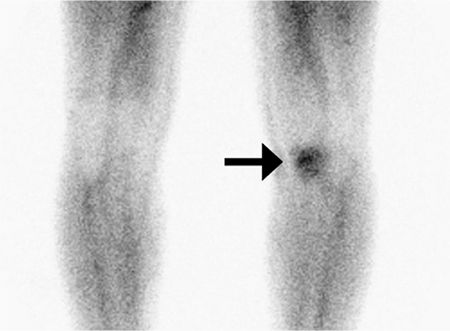 Combined with single-photon emission computed tomography/computed tomography (SPECT/CT) it is an important imaging technique for stress fractures in both upper and lower extremities, and is widely preferred over other imaging techniques. 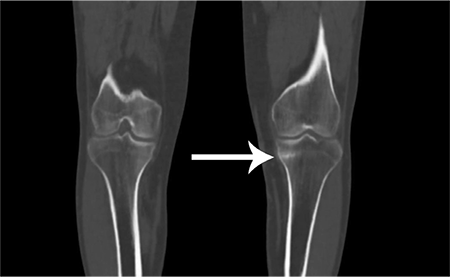 In this case, we present the case of a 39-year-old male patient diagnosed with stress fracture of the proximal tibia and demonstrate the contribution of CT scan fused with SPECT imaging in the early diagnosis of stress fracture prior to other imaging modalities. Surgical and Medical Practices: B.O., N.C., Concept: B.O., N.C., Design: B.O., N.C., Data Collection or Processing: B.O., N.C., Analysis or Interpretation: B.O., N.C., Literature Search: P.A., Writing: N.C.
1. Drabicki RR, Greer WJ, DeMeo PJ. 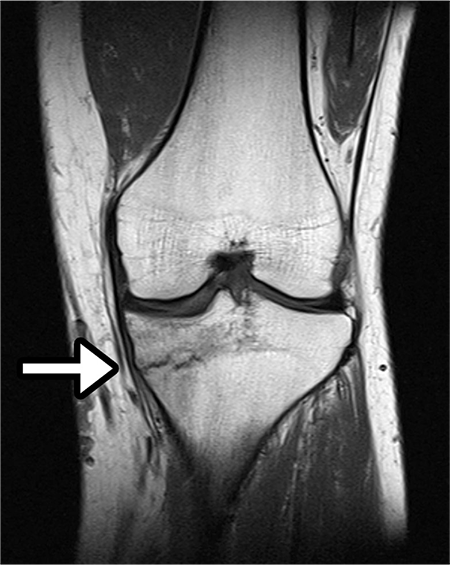 Stress Fractures Around the Knee. Clin Sports Med 2006;25:105-115. 2. Huellner MW, Strobel K. Clinical applications of SPECT/CT in imaging the extremities. Eur J Nucl Med Mol Imaging 2014;41(Suppl 1):S50-58.